Join the 716,869 students who no longer fear maths! Take control of maths with our precise, step-by-step help, friendly test prep, and your very own unique study plan. Why Join the 716,869 Students that Choose to Study with StudyPug? 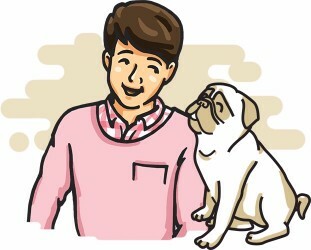 that Choose to Study with StudyPug? Our students see a dramatic improvement in their grade within weeks! in their grade within weeks! Homework problems? Exam preparation? Trying to grasp a concept or just brushing up the basics? Our extensive help & practice library have got you covered. Our proven video lessons ease you through problems quickly, and you get tonnes of friendly practice on questions that trip students up on tests and finals. Our personalized learning platform enables you to instantly find the exact walkthrough to your specific type of question. Activate unlimited help now! We empower our students to take control of their learning and we give them the tools they need to defeat their maths anxiety. Our videos won’t confuse and bore you with unnecessarily complex language. Our tutors have found the best way to deliver the information you need in a way that makes sense! With StudyPug, students have instant access to professional video lessons that cover every aspect of their maths curriculum. You get real results with tips & tricks for all your maths and science questions, and more! Enjoy a better math mark, and be less math-stressed! As a new student, you can claim your free trial. Put our videos to the test and if you’re not satisfied, you lose nothing! ...but if you find them useful, you’re set for life! Our tutors are experts in their field and they only teach the classes they know. You won’t find our calculus tutor teaching chemistry. With a large team of specialist tutors that know your curriculum inside and out, we’re offering you incredibly focused lessons that get you learning faster than ever before. If you’re a parent looking to do more for your children, we offer a fantastic family plan that provides all the help your kids will need. Join Today And Take Control of Maths..Finally! Join 716,869 students like you who no longer fear maths with our precise lessons, friendly practice & a personalized success plan. StudyPug is a more interactive way of study maths and offers students an easy access to stay on track in their math class.